If Nightborne were to be a new race, as opposed to customisation, what classes would they have to pick from? I think everything other than Shaman, Paladin, and Death Knight would apply just fine to the Nightborne. We know they use all sorts of magic, including their (somewhat different) form of Druidism. They’re perfectly capable of picking up swords and bows and we’ve seen them do so. They wouldn’t be Death Knight because they never had an opportunity to be murdered and rez’d by Arthas. Shaman and Paladin ares something they likely wouldn’t have been exposed to, but in time, I wouldn’t care if they got that, either. People learn stuff. It’s what we do. Unfortunately, WoW doesn’t have a straight up magic melee class, which would be perfect for the Nightborne. Something in the vein of the Blood Elf Spellbreakers which are in the RTS games, Hearthstone, and so on, but not represented in WoW itself. Paladins and Death Knights use spells, but it’s not Arcane in any way. If Anduin were to die or disappear, who is the next in line to become king, queen or regent lord of Stormwind? AFAIK Anduin is the last of the Wrynns and Stormwind doesn’t seem to have much of a court anymore, does it falls to the highest ranking military leader and who is that? Honestly, I don’t think this question is answerable because Blizzard simply has never given us that information. We don’t know the laws of succession in Stormwind or any other kingdom, really. Would the crown fall to Anduin’s closest blood relative? Closest male blood relative? Closest male blood relative who is an acting member of the Church of the Light? Maybe it’s none of that and, instead, the crown goes to a Stormwind noble with the strongest claim, or largest plot of land, or largest number of loyal soldiers in their employ. 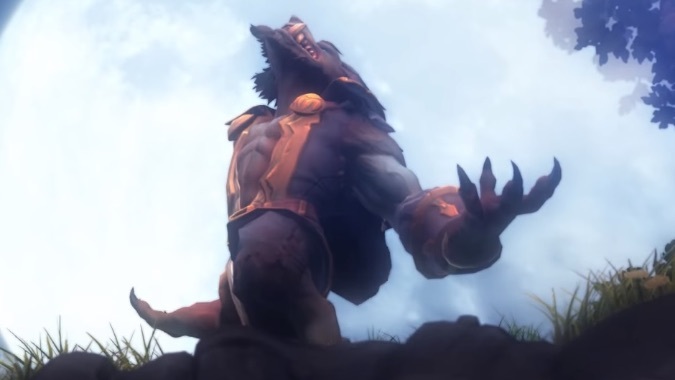 Or maybe Greymane would be able to lay claim because he’s a King himself in service to the Alliance. How would that work? I dunno. We don’t know. Stormwind has a class of nobility, but we haven’t really met them. They still exist and were mentioned as recently as a short story back in, I believe, Cataclysm. Blizzard has never really focused on who they are or what they do. Assuming one of those nobles were next in line for succession, it would be someone we’d never heard of before ever. If Anduin were to bite the dust, I imagine his replacement would be whoever Blizzard believes could make for a cool story regardless of the laws of succession. If Genn Greymane (or Jaina Proudmoore or Calia Menethil) ending up on the throne of Stormwind would cause something cool to happen, Blizzard would do that, even if it doesn’t necessarily make sense. I finally downloaded and tried Heroes of the Storm. It’s not really for me, I don’t see myself playing this game much but I didn’t hate it so doing the 15 games for the upcoming WoW mount won’t be terrible at least. Do we know if it has to be 15 PvP games or is vs. AI enough? So far, every quest and event in Heroes of the Storm can be completed in the vs. AI game mode. I don’t expect the For Azeroth! event will be any different. That’s how I’d suggest new players get started, anyway. While playing against the AI isn’t necessarily going to train you how to play against other people, it will at least familiarize you with the game and its mechanics. Jumping straight in to playing against other people, learning everything on the fly can be overwhelming: what things are, what they do, what your character does, how to use hotkeys, and so on. Definitely start there. And honestly, I don’t think there’s any shame whatsoever in playing vs. AI exclusively. That’s what I do the vast majority of the time. When you find the right AI difficulty for you, it turns Heroes into a super chill smash-and-bash game.